Holiday.gr - DONOUSSA, a trip to a myth! Been to DONOUSSA ? Share your experiences! Thonousa is the northest island in the complex of Small East Cyclades Islands. 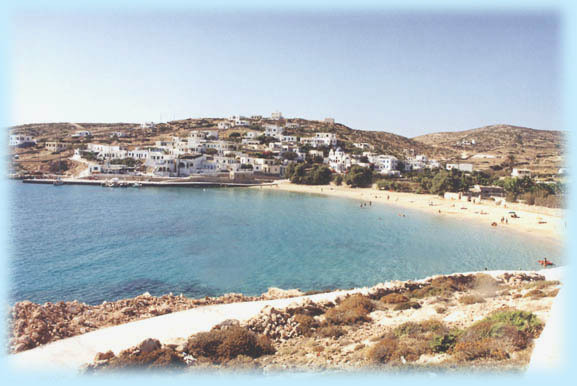 It is located east of Naxos and north of Amorgos. It has an extend of 13sq. Km, its ground is stony and creates many coves, among which you can see dreamy beaches. This tiny paradise is inhabited since archaic times and keeps the same name since then. According to mythology Thonousa was the island where Dionysos hid Ariadni so that Thiseas won’t find her. The rest settlements Mersini, Charavgi and Kalotaritissa distinguish and are ideal for strolls. Enjoy your swim in the crystal clear beaches of the island. In Vathi Limenari, Kedro, Fikio, Kalotaritissa, everywhere you swim you will enjoy the beauty of nature. In Thonousa you will find rooms to let. In the taverns you will taste the local specialties.